Comments: Softcover. 295 x 205 mm. First edition, 2009. Text in English. Copy signed by Donovan Wylie. 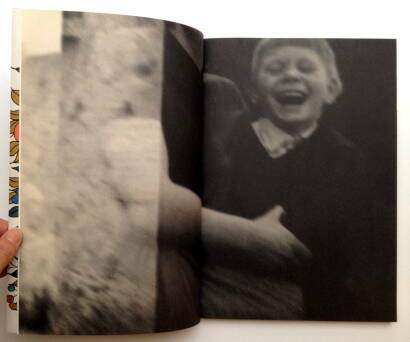 Included in Martin Parr & Gerry Badger, The Photobook, vol.III, p. 252. Copy in very good condition. 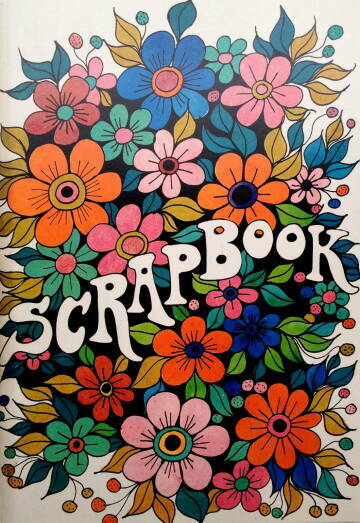 This has been made all for the love of scrapbooks. For about three centuries in many different countries, a scrapbook or album became the most immediate manner of diary making. In Ireland, this often took on a particular and idiosyncratic form. 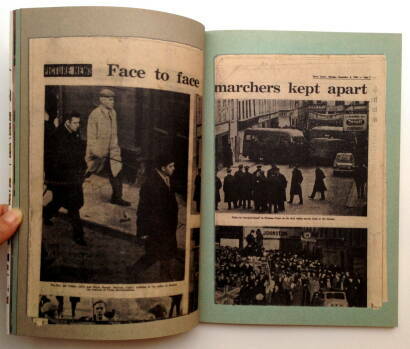 From the late 1960s until the early 1990s, the turmoil of Northern Ireland was often reflected in these hand-constructed books. 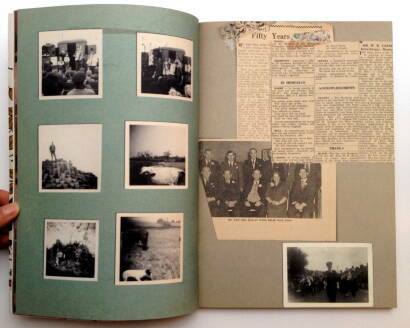 Clippings from newspapers, family photos and personal mementos often found their way into highly individual collaged records of daily life. Donovan Wylie and Timothy Prus have recreated a non-sectarian version with the benefit of hindsight. 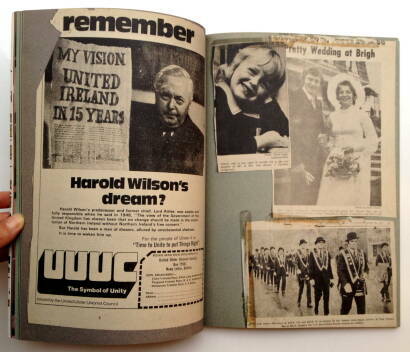 Wylie, son of a mixed marriage, grew up in Belfast during a period when identification with one side of the sectarian divide or another was an essential component of everyday life. 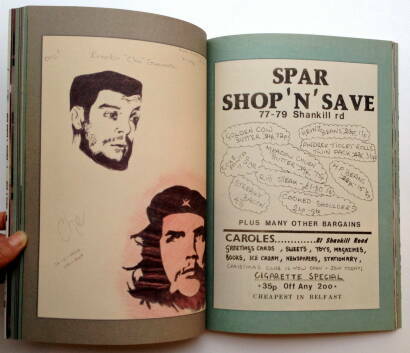 Scrapbook gives nothing but the authors’ personal view of an era and a kind of record making.